The event type category (custom taxonomy) in EventON can be used to achieve more things than what you think. The below examples are created based on the emails I got from you asking how to do them. Step 2: Go to individual event page and on right side you should find “Day of the week” category box. In there now you can add a new category which we will call “Monday” and assign to the event. — Update changes. Step 3: Go to Events> Day of the week page and find the ID of the Monday tag. 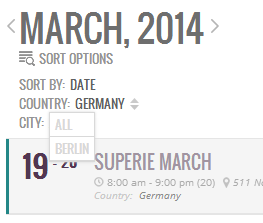 Step 4: Go to the page you want to add the calendar with Monday events. 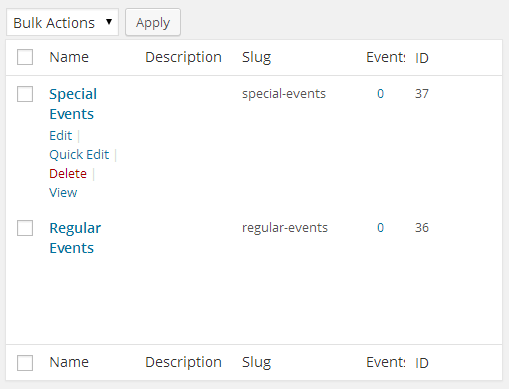 Step 5: Add eventON shortcode into the page that has event type tag ID we found for Monday like below. Just like that you can create a calendar that will hold only Monday events. 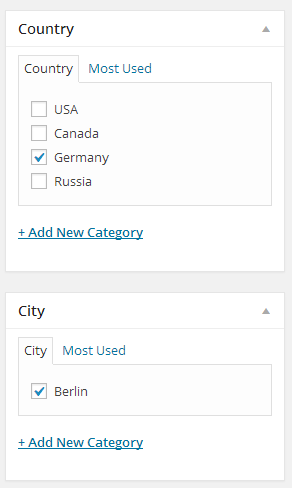 Go to eventON settings and under Categories change the event type #1 name to country, and #2 to city. After you done this for other events, go to myEventon Settings > Sorting and filtering and select Country and City as sorting option to show on front-end calendar. Now your front-end calendar should have sorting options like below. Step 4: Do the same for other regular events and special events. Step 7: Follow Step 6 for Special events calendar.